Ye Olde World charm of The Spaniard awaits! 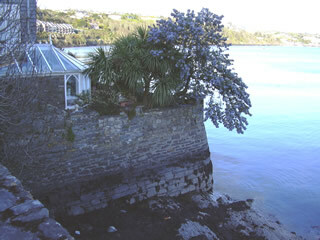 The Spaniard has held a commanding view over the town of Kinsale for centuries. It still retains it's unique charm. You can be sure of the same welcome, the same quality and the same high standards our restaurant and bars have been renowned over for generations. Our townland of Scilly took it's name after very many visiting Cornish sailors actually settled here. Maybe you are not thinking of staying quite so long, but, at The Spaniard we want to make your visit an enjoyable and memorable occasion. So, if you are planning a visit to Kinsale, why not book a table for you and your loved ones. Enjoy our fine fare, our fresh fish landed at the Port of Kinsale. Recall the olde days when Kinsale was one of Ireland's foremost Vintage Ports as you enjoy your selection from our range of fine wines. Join us, join in on the musical nights at the Spaniard among friends. Fáilte Isteach.